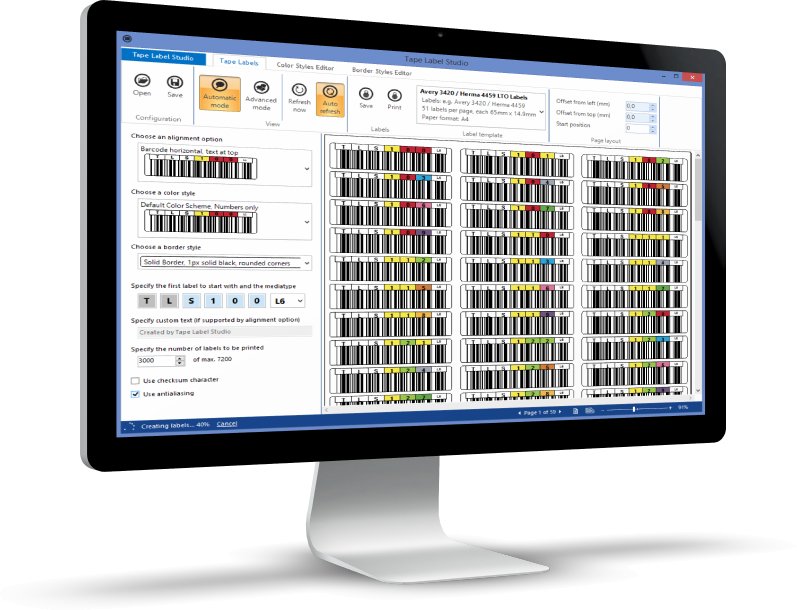 WHY BUY EXPENSIVE BARCODE LABELS? TRY TAPE LABEL STUDIO FOR FREE. BUY TAPE LABEL STUDIO ONE TIME. CREATE HUNDREDS OF FREE LABELS. PRINT DIRECTLY TO LABELS AVAILABLE IN STORES AND ONLINE. LIKE AVERY 3420, AVERY 6571, AVERY 6577, HERMA 4459 AND MANY MORE. 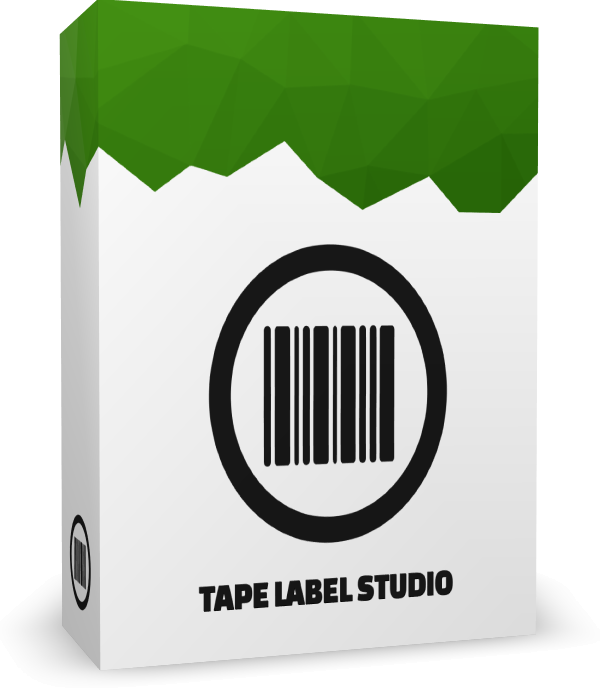 Download the latest version of Tape Label Studio and start printing labels today. With its automatic mode Tape Label Studio offers an easy way to create your labels. Specify your label template, the color and border styles you like and how many labels you need. Automatic mode takes care of your settings and gets the job done. 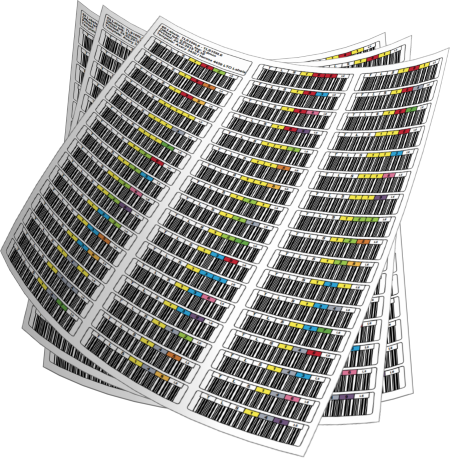 Do you have LTO 1, LTO 2, LTO 3, LTO 4, LTO 5, LTO 6 or even LTO 7 tapes? Maybe Worm Generations 1-5? Or Cleaning Cartridges? Tape Label Studio offers all media types you may need for your labels. And if it doesn’t, you can use your own. Tape Label Studio offers powerful color style and border style editors. With those tools by the hand you can customize background, text and border colors, set your desired border width and many more. Make your labels look the way you need them. Tape Label Studio can be ordered immediately using the payment of your choice like Visa, MasterCard, PayPal and many more. Customers receive their license directly via e-mail. Order your license now and start printing your own, customized labels within minutes.